Super-Individual: Collective Ritual sees Slomo invite twelve of their favourite artists to re-interpret their epic one-note behemoth, ‘Super-Individual’ (from the 2017 album, ‘Transits’). 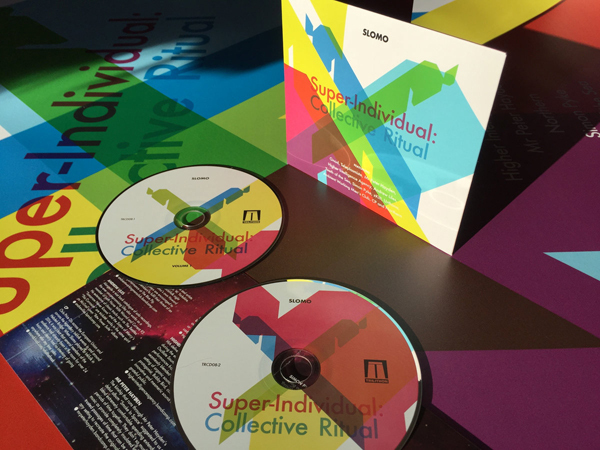 Unfolding across 2 CDs and over 146 minutes in length, ’Super-Individual: Collective Ritual’ features reworkings by Gnod, Andrew Liles, Teleplasmiste and more. Includes 4 page booklet including artist biographies. Removed from its Transits, the Super-Individual was dismembered and distributed across the landscapes of Northern Europe and South-East Asia, coming to rest in the hands of deeply singular sonic practitioners. Vestiges of the Super-Individual became assimilated into their own customs; at times recognisable, at others utterly obscured by their own requirements. Recordings of these rituals are herein collected for future study and inner-space travel.